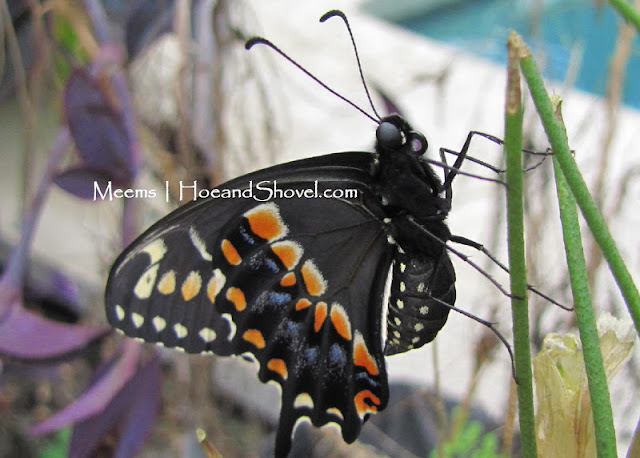 In Central Florida butterflies can be seen year-round. The population of them decreases as winter arrives. If it gets very cold, as in freezing, they may disappear until it warms up, but they are hiding somewhere safe until the temperatures rise. The autumn garden is filled with an abundance of pollinator activity, including many varieties of butterflies. 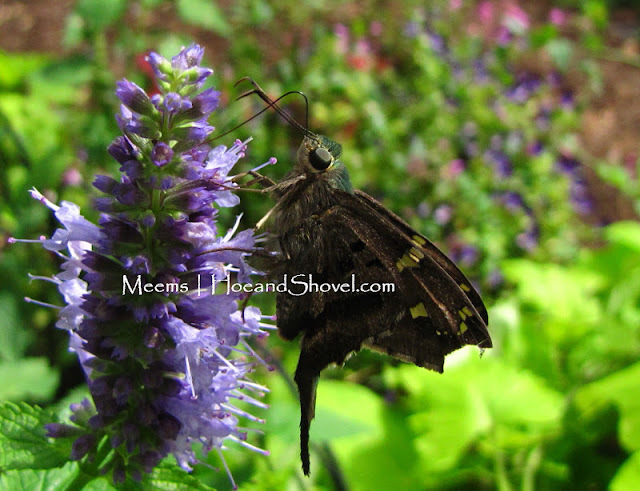 Agastache 'Black Adder' is a popular stop for all the nectar-sipping critters in my garden. 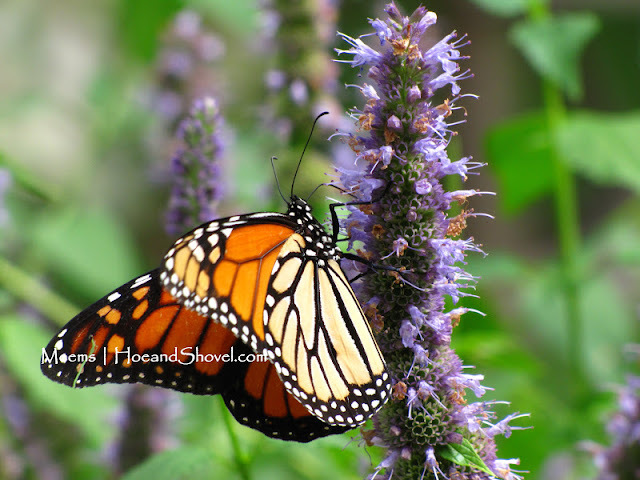 The Queen butterfly is not as commonly seen in my garden as the other species discussed here. However, this year there seemed to be more than normal. 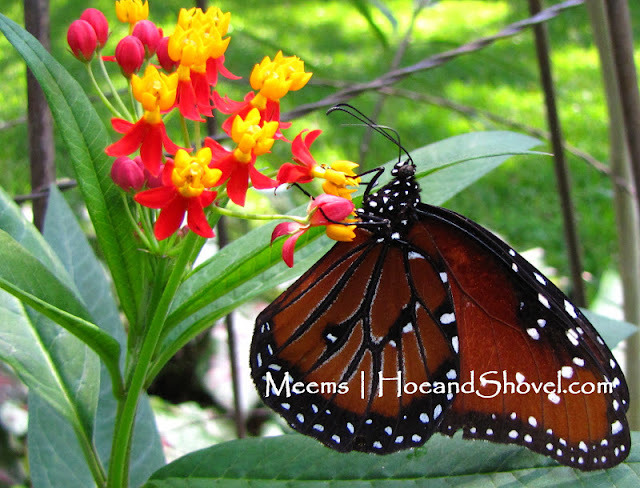 The Queen butterfly is very similar in size and pattern to the Monarch. Swallowtail plant (Christia Obcordata) is definitely not a butterfly even though it appears to have a gazillion wings of butterflies dancing around on graceful stems. This is not a plant that last more than a season in my garden. I buy them when I find them in late summer, pot them up in containers and place them in partially shaded spots. The leaves fade and drop off as the days grow shorter. 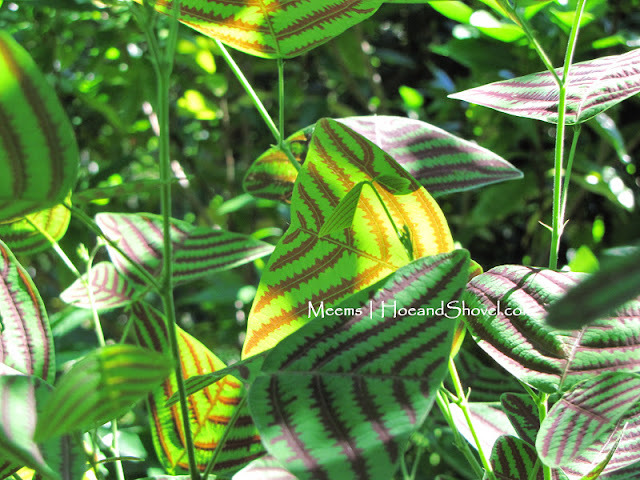 You can read more about this unique plant in a previously featured post here. 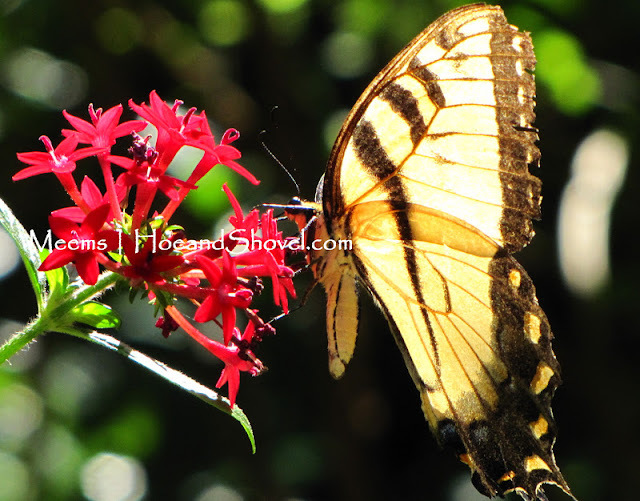 Pentas (Pentas lanceolata) are an all-time favorite of mine and the pollinators in my garden. These are the old-fashioned, tall red variety that survive through most winters or return after being frosted back. 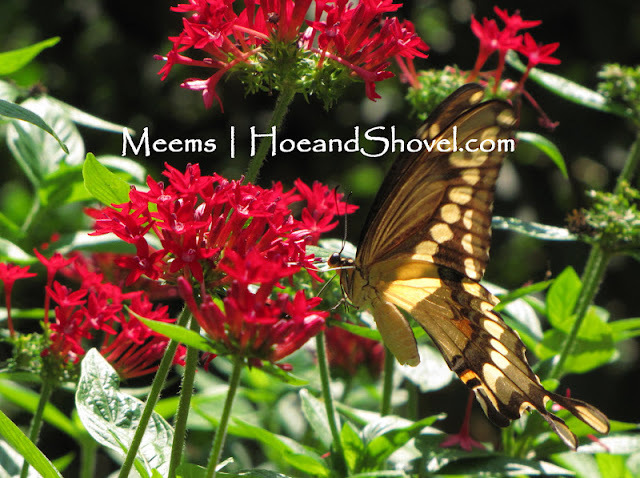 The value of red pentas in my garden cannot be overstated. I love them and recommend them highly for year-round bright color in the dense clusters of red. 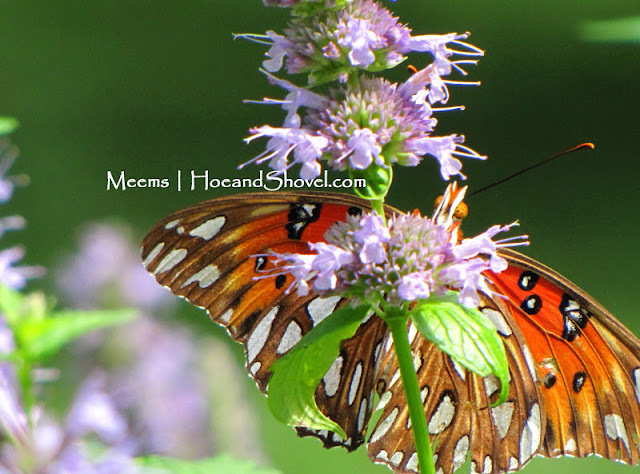 Loads of pollinator activity, including hummingbirds depend on them for nectar. This summer and early autumn we had the privilege of seeing dozens of black swallowtail caterpillars transform from tiny eggs to each instar stage and molt into butterflies. It was a wonderful learning experience for our young grandchildren and just as thrilling for us to witness each metamorphosis. We have pondered how a single Rue herb plant could have hosted so many caterpillars. All the leaves would be sheared off by hungry cats and as soon as they matured new growth would push out rapidly. It's a wonder of nature. 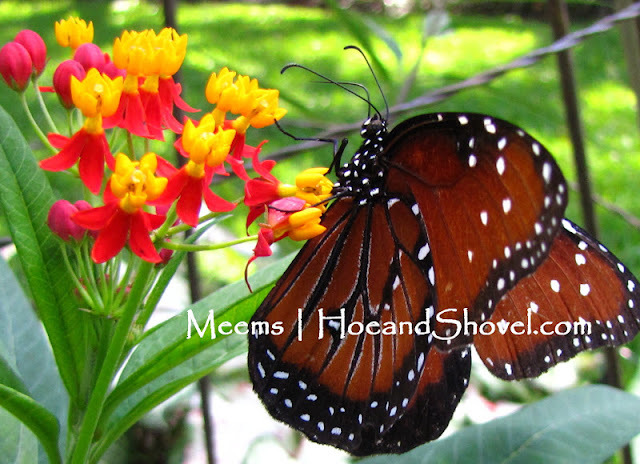 *** Please click over to Hoe and Shovel on Facebook to see the daily photos and discussions about plants there. Click on the LIKE button to be part of the conversation. We'd love to hear what you have to add. What a magical post! 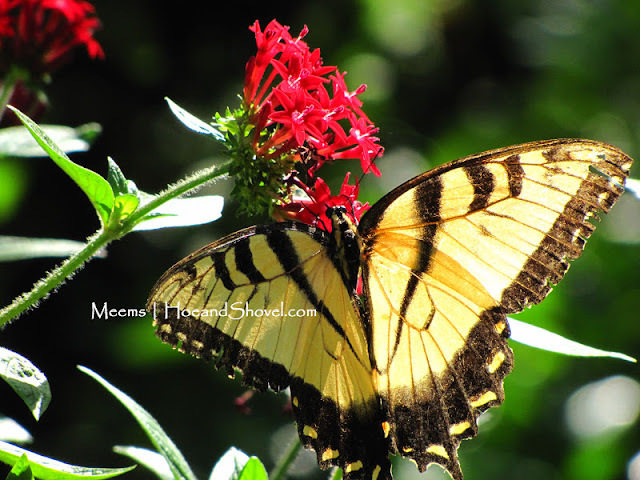 I love the swallowtail plant. I've never heard of it before. And your butterfly pictures are fabulous. 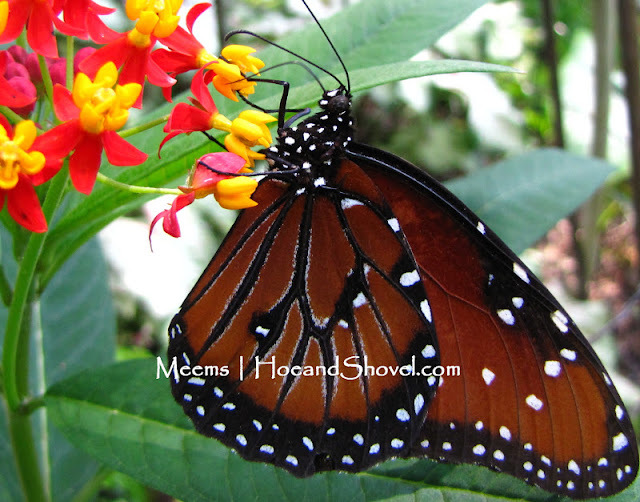 What another delightful post about your gardens and the 'flying flowers' that visit it. Wonderful photos. 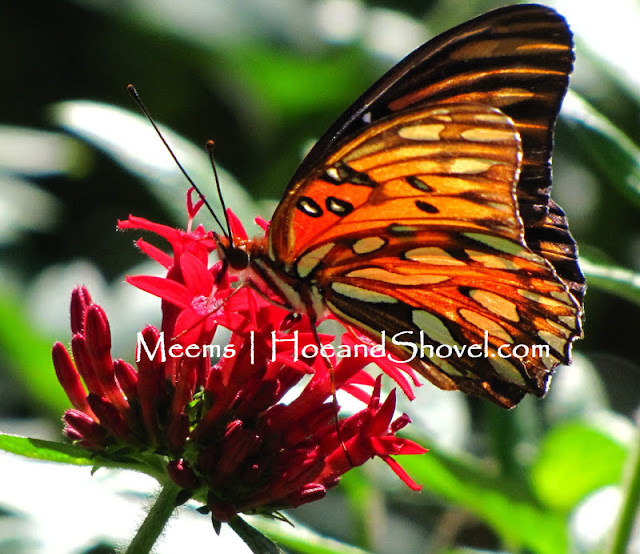 It's always a delight to see butterflies in the garden and in photos. You got some great shots of your fluttering beauties. I've got to find a rue plant...haven't been lucky enough to find any up my way. Enjoy the wonderful breezy weather this weekend. I need to get some parsley and pentas to attract some other types of caterpillars. Lovely shots, Meems! Very striking, Meems, and beautiful. You had me going with that Swallowtail Plant. I had never seen "that butterfly" before! You seem to have more kinds than I do. Such gorgeous perfection. 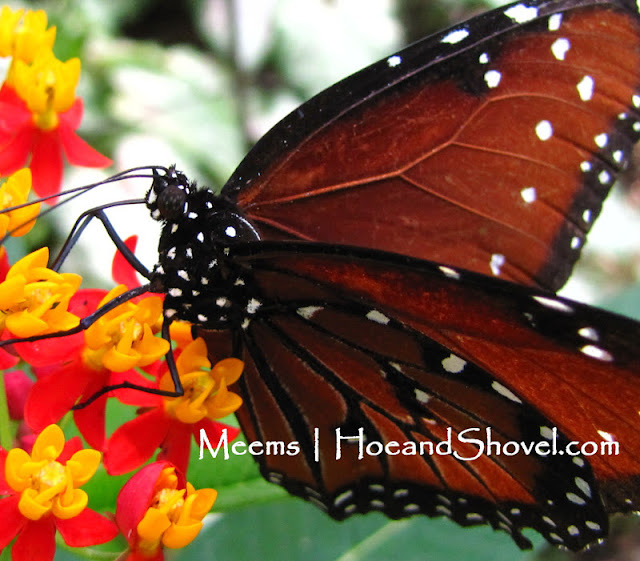 What a treat to see all your lovely butterflies, Meems, especially since ours have long since left for warmer places. The Queen is a new one to me--such a beauty! 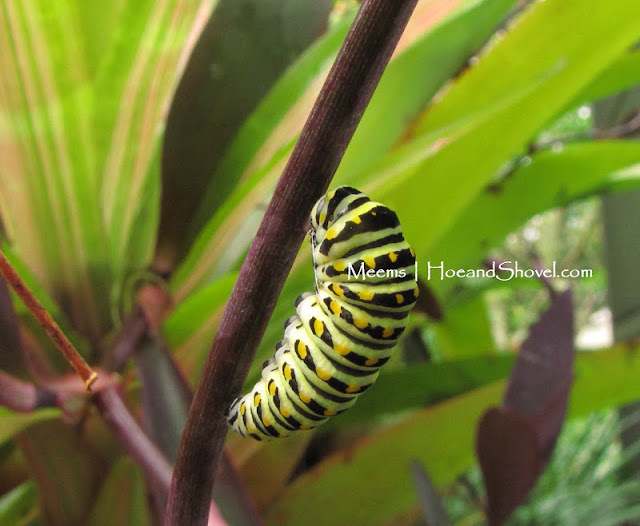 The Swallowtail plant is also something I've never heard of before; it's certainly an interesting one. What lens do you use? I love the pictures of the caterpillers and butterflies!